The gel-rocket shoe is an indoor shoe designed for badminton, racquetballl and squash. 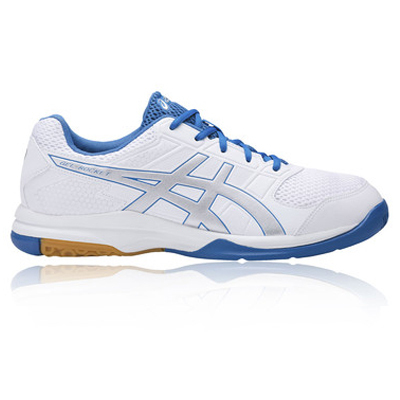 The shoe is now the widest out of the asics indoor range due to having more mesh allowing a morecomfprtable fit. The breathable mesh allows you to stay cool whilst also being comfortable. Do you own the Asics Gel-Rocket 8 White and Silver?